Punxsutawney Phil wasn’t kidding when he said we were going to have six more weeks of winter. The east coast continues to get snow, the south is under water, and even the sunny southwest is cloudy and gray. Enough already! Don’t get me wrong, I love a little bit of winter and winter clothes, but this year’s temperatures are enough to make all of us long for some warm beaches and hot weather. In fact, many of you may be planning Spring Break and summer vacays, but if you’re looking at Caribbean islands, you may want to do your research. Hurricanes Irma, Jose, and Maria caused major damage to numerous locales and some are still in the midst of recovery, which means they might not be the best places to plop your tourism dollars in just yet. It’s really a sad situation, as the winter months are the busiest time for tourism in the Caribbean but this year many resorts remain closed. so, whether you “Cuh-RIB-ee-un” or “Care-uh-BEE-un,” you will want to do your research. In a nutshell, the hardest hit islands and those still in recovery mode are: Barbuda, the British Virgin Islands, Dominica, Puerto Rico, St. Maarten/St. Martin, and the U.S. Virgin Islands (St. Croix, St. Thomas, St. John). 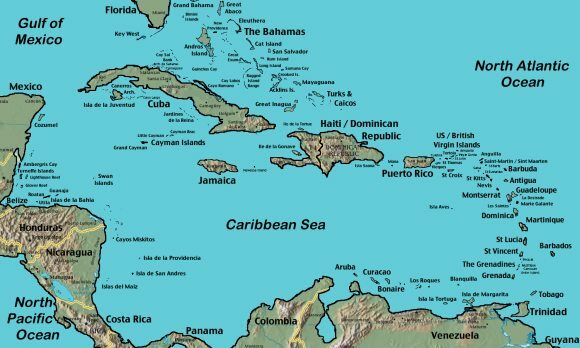 Those that were outside the paths of the storms or suffered little or no damage include: Aruba, Barbados, Belize, Cayman Islands, Curacao, Dominican Republic, Jamaica, Martinique, Nevis, St. Kitts, St. Lucia, St. Vincent and the Grenadines, and Trinidad and Tobago. 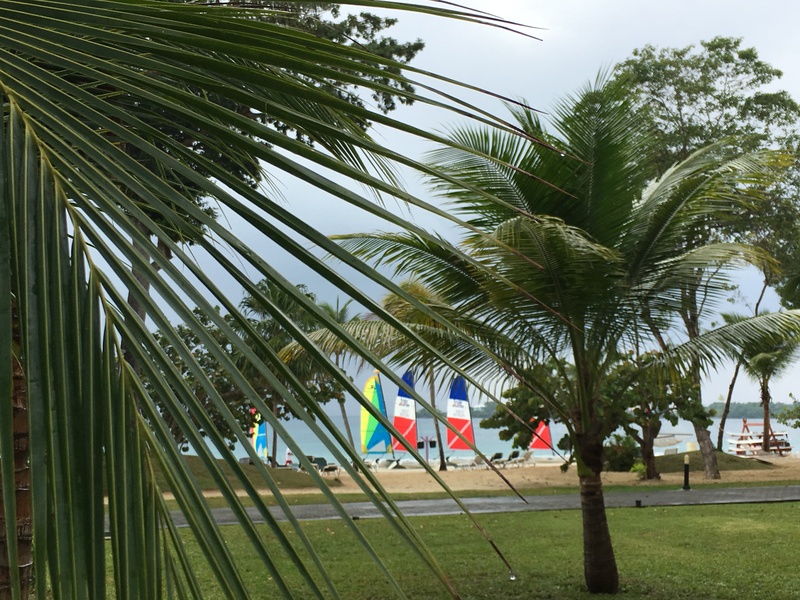 All beaches are back to normal but some big resorts are still in the process of opening. Phone and internet service have been restored to most parts of the island, as has water service. The main issue Anguilla is still facing is lack of power. Antigua was largely undamaged during the hurricanes, but its sister island Barbuda was devasted, where 95 percent of properties suffered significant damage. In Antigua, the airport and all resorts are open and were minimally affected by Irma. Southern islands of this island nation suffered severe damage, but all major tourism centers were minimally impacted and are operating as usual. Like Anguilla, power remains a problem in the British VI but airports are open even though the islands have less than half the number of hotel rooms they had before the hurricanes. The main tourist islands of Tortola and Virgin Gordo were severely damaged and last I checked a curfew remains in effect from 8 p.m. – 6 a.m.
Not to be confused with the Dominican Republic, Dominica is still in the recovery phase of rebuilding after being overwhelmed by the storms. Water, electricity, and mobile phone service are still being restored to many parts of the island although most roadways have been cleared of debris. Many locals are still living in shelters, more than 35 percent of the island’s treasured dive sites were damaged, and the island’s vegetation and infrastructure were both heavily damaged. Hurricanes Irma and Maria caused nearly $100 billion worth of damage to Puerto Rico but today the airport and cruise ports are open and some hotels are taking reservations, although most of them are still operating on generator power only. Power is still an issue for around 75 percent of the population, and even those with electricity suffer frequent power failures. In addition, nearly 26 percent are without running water. Electricity has pretty much been restored island-wide, as has internet service. The airport is open for commercial flights but the popular Eden Rock is not scheduled to reopen until sometime this summer. The Dutch side of this twin-nation island lost more than 70 percent of its hotel inventory but nearly 50 percent of it is back and the airport is open. What suffered major damage on St. Maarten were the island’s nature and environment, as well as the beaches. Water quality is also still being addressed. On the French side of St. Martin, recovery is still in full gear after what local leaders called the worst natural disaster in their history. Hotels are expected to reopen this spring, as are many restaurants. Some resorts reported damage after Irma and conducted cancellations, but all are now open and power, electricity, and water are on and back to normal. 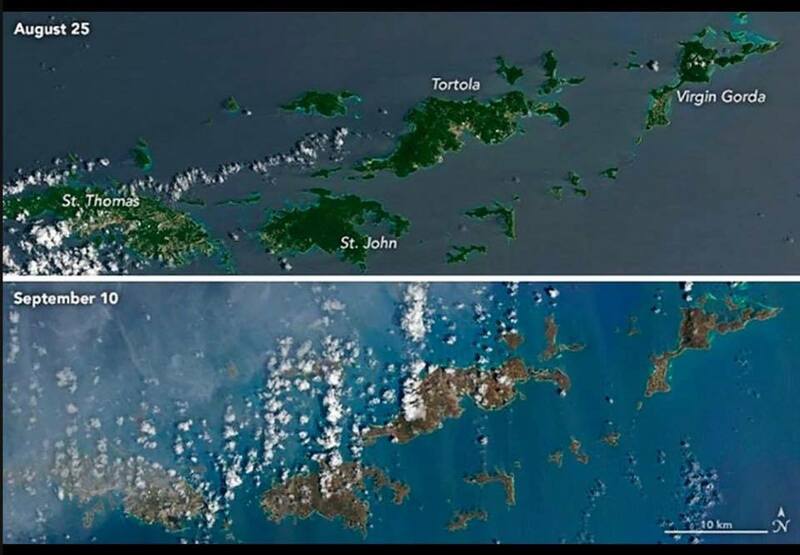 These islands were particularly hard hit by the storms, with St. Thomas and St. John feeling the hardest brunt. Hurricane Irma pummeled the islands as a Category 5 storm, with wind gusts as high as 225 miles per hour. Two weeks later, Hurricane Maria, another Category 5 storm, slammed into them and was followed by weeks of rain. Throughout the Virgin Islands, many small and mid-size hotels have reopened, as have villas and time shares. But, nearly three-quarters of hotel rooms remain out of commission and some are still housing relief workers. The islands’ famous and popular large resorts took the worst damage and many remain closed. Frenchman’s Reef is the largest resort on St. Thomas and the islands’ second largest employer but owners have an uncertain timetable for reopening. It’s estimated 80 percent of St. Thomas’ grape trees were uprooted and its coconut palms suffered a 70 percent loss. On St. John, the Westin has cancelled all reservations through 2018. That being said, power is mostly back, cruise ship ports are in good shape, restaurants and shops are open, and direct flights to and from the mainland U.S. are slowly coming back. The best advice? 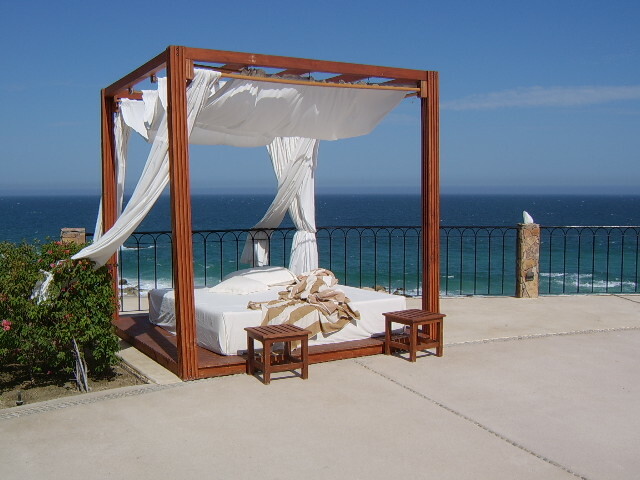 Check with a travel expert or contact local tourism officials in any destination you are considering. Also ask around both personally and online. There are many travel sites where travelers can post updates and advice and nothing is as solid as first-hand knowledge from friends and family. Until then, hunker down, stay warm and dry, and dream of your toes in the sand and an umbrella drink in your hand.